The 1920s in Paris are the pivotal years in Hemingway's apprenticeship as a writer, whether sitting in cafés or at the feet of Gertrude Stein. These are the heady times of the Nick Adams short stories, Fitzgerald's The Great Gatsby, and the writing of The Sun Also Rises. 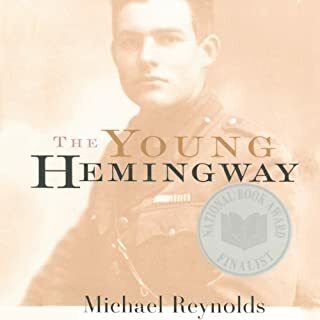 These are also the years of Hemingway's first marriage to Hadley Richardson, the birth of his first son, and his discovery of the bullfights at Pamplona. ©1989 Michael Reynolds (P)2013 Audible, Inc. 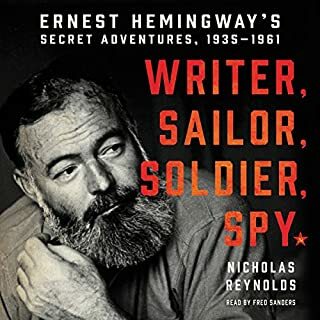 Written in a lively way, as if the author were present for the events described, this is an enjoyable and evocative portrait of Hemingway, less dry and factually focussed than many, but benefits from this. I'm no Hemingway aficionado, so I can't comment as to the accuracy of the writing. It's slightly sycophantic at times, the writer obviously being a big fan. 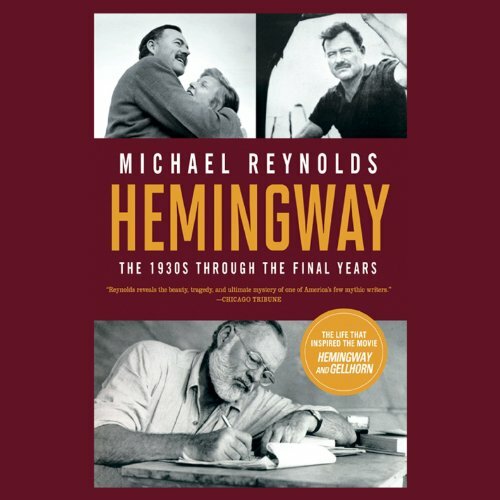 Reynolds neatly places Hemingways development as a writer in historical and literary context, which I appreciated. The reading is brisk and exciting and carries the listener along well. Even in the quieter sections I never found myself getting bored. I have docked a star as there are many mispronounced foreign words in the audiobook ("Nietshee", "kway", "pont noof", "Sudd-express") that made me want to grab the narrator by the shoulders and shake him! If you're going to be a professional audiobook narrator you need to get this stuff correct or at least have an educated shot at getting them correct. 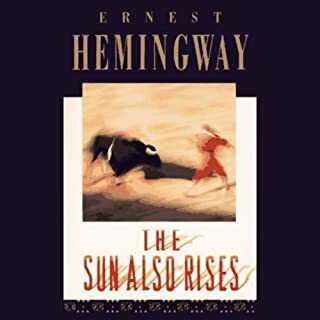 It deals with the years 1921 to 1926, when E.H. traveled to live in Paris to make himself into a writer with great determination, thought and hard work, and the book ends with The Sun Also Rises about to be published and to make his name. Here we have Ezra Pound and Gertrude Stein giving Hemingway invaluable advice about writing, Here he began to read widely, borrowing recommended books from the great Sylvia Beach's Shakespeare and Company bookshop. It is fascinating to watch Hemingway among the artistic and not so artistic inhabitants of the Paris left bank as he drifts and thinks, but most of all works at forging himself into a writer and embracing that craft he never deserted even when his life later on began to fall down around him. Here is the writer as a young man, recently married to Hadley, finding himself, writing the early short stories and growing in confidence and sometimes meanness towards other Paris inhabitants. I found the book fascinating. It is true that the reading errs on the fast side, but I got used to this as the book went on. 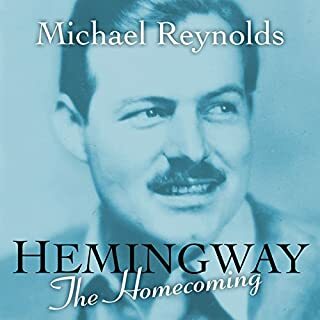 If you are interested in Hemingway, especially as writer - there is not much hunting in this book, but there is the beginning of his love affair with the corrida de toros - Michael Reynolds book is highly recommended. 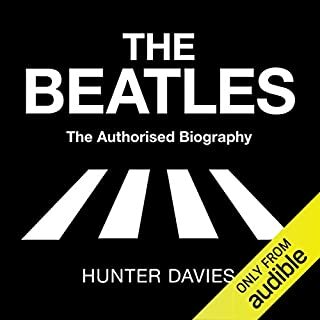 I only wish the later books of this outstanding biography were available on Audible. Slow down narrator, slow down. What did you like best about Hemingway: The Paris Years? What did you like least? Actually very good information and lots of interest for the diehard Hemmingway fan. 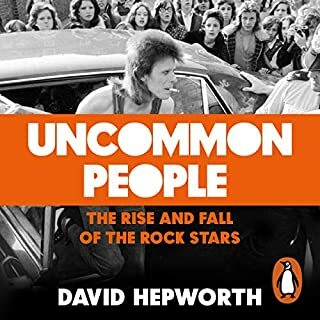 Author seems to have a good working knowledge of Hem's life and times. This guy thinks he has a fire to put out. He is actually breathless trying to race through - too sad. Repeating "kway" for quay didn't endear him much to me either. The narrator reads so fast that sometimes it seems he's about to lose his breath... which is very distracting from the the story. The main problem is the way the narrator rushed through the reading, and his mangling of many words both in French and English. For example, he pronounces "quay" three different ways, none of them correct. There is also an editing fault, with a brief repetition of a passage. However, as a biography, it is not bad. Hemingway comes across as a fairly unlikeable person, both egotistic and insecure at the same time, a bit of a poseur and fraud. This may be because he had difficulty separating himself from what he wrote, so that his characters and he became confused. One does get a vivid picture of the expat society in Paris during these years, and a picture of Hemingway's wife along with an analysis of how he approached his craft, how he learned to write over a period of 7 years, culminating in "The Sun Also Rises"
I enjoyed this book, it really filled in his Paris years with multiple sources for different periods and events.